If you own an establishment in Washington State that sells or serves alcohol, or if you serve alcohol or manage employees who serve alcohol, you may be curious to know how to pass a WSLCB compliance check. We have provided some helpful tips for you below! If you are interested in receiving a comprehensive training on Washington State Alcohol Selling and Serving laws, or if you are in the hospitality industry and need to receive a MAST Permit so you can legally serve alcohol, we recommend checking out a WSLCB approved online Washington MAST Permit Course! Otherwise, keep reading to learn about compliance checks! What is the purpose of a WSLCB compliance check? A compliance check is a way for the Washington State Liquor Cannabis Board (WSLCB) to confirm that liquor licensed establishments are complying with Washington State alcohol serving and selling laws. A compliance check helps the WSLCB to enforce one of its primary missions which is to ensure that alcohol is never sold or served to minors. 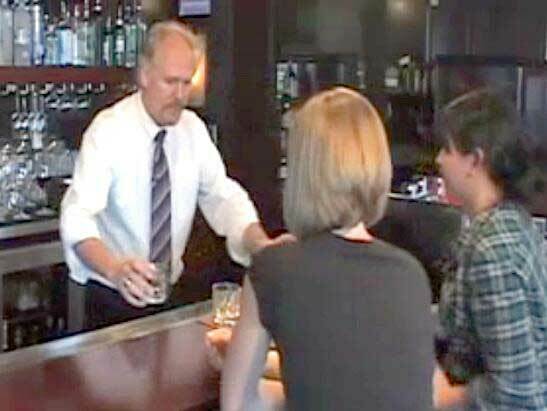 OLCC Permit ASE Training: Can Customers Bring Their Own Alcohol into an Oregon Bar or Restaurant? If you are a restaurant or bar owner, or if you work at a bar or restaurant, you may be curious to know the regulations around customers bringing their own alcohol to your establishment to drink. Alternatively, you may be a customer who is hoping to bring your favorite bottle of beer or wine to a bar or restaurant to share with your friends. We’ve provided some helpful information around this topic for establishment owners, servers, bartenders, and customers below! Before we dive into the world of customers bringing their own alcohol to an establishment, we would like to recommend that anyone who plans to open (or work at) an establishment that sells alcohol to customers in Oregon State complete an OLCC Approved OLCC Permit Alcohol Server Education Course in order to receive comprehensive education regarding Oregon Alcohol Laws and to receive an Oregon Alcohol Seller Server Permit in the process! Now back to the topic at hand. Let’s look at some Q&As! Q: Can customers legally bring their own alcohol to an Oregon liquor licensed establishment to drink on the premises? A: Yes! But customers are only permitted to bring a style of alcohol (beer, wine, hard liquor, etc.) that is sold or served at that establishment. In other words, the type of alcohol a customer is allowed to bring into an establishment is dependent on the type of liquor license the establishment has. For example, a customer could bring a bottle of wine into a restaurant that has a license which allows them to sell or serve wine. Note: The bottle of wine a customer brings in cannot contain more than 21% of alcohol by volume, but the wine can originate from anywhere! In other words, customers are not limited to only bringing in wine that is from Oregon State. Q: Do all liquor licensed establishments allow customers to bring alcohol into their establishment? If you currently own or are planning to open up a supermarket, grocery store, or convenience store in Oregon State and intend to sell alcohol at your establishment, you are going to need to apply for and receive an OLCC Liquor License. Specifically, you will need the Off-Premises Sales (O) OLCC Liquor License. We recommend that anyone who plans to open (or work at) an establishment that sells alcohol to customers in Oregon State complete an OLCC Approved OLCC Permit Alcohol Server Education Course in order to receive comprehensive education regarding Oregon Alcohol Laws and to receive an Oregon Alcohol Seller Server Permit in the process! Q: What alcoholic beverages does the Off-Premises Sales (O) Oregon Liquor License allow you to sell at your establishment? A: Establishments with an Off-Premises Sales Oregon Liquor License are permitted to sell beer, wine, and cider in factory-sealed containers. Louisiana State now allows customers to use digital IDs to purchase alcoholic beverages in place of physical ID cards. This means that bartenders, waitstaff, and store clerks who sell or serve alcohol and who have a Louisiana Bar Card need to be properly trained on how to check a digital ID before a customer presents one! If you’re hoping to receive an in-depth training on Louisiana Alcohol Serving and Selling laws and/or need to receive your Louisiana Bar Card, we recommend checking out an ATC approved Louisiana Liquor License Course. Title 4 Arizona: Arizona Alcohol Serving Laws – What are Acceptable Forms of ID for Serving and Selling Alcohol? If you serve or sell alcohol in Arizona as a bartender or waitstaff, or if you manage employees who serve or sell alcohol, it is 100% guaranteed that you will be checking a lot of IDs while on duty! Given this inherent truth, it is important for you to know what styles of identification are considered acceptable for the purpose of alcohol sales and service in the State of Arizona. Additionally, we recommend completing an Arizona DLLC Approved Title-4 Arizona Liquor Certification in order to receive valuable knowledge regarding Arizona’s alcohol selling and serving laws. Note: It is an AZDLLC requirement that all alcohol servers and sellers complete this training and receive an Arizona Title-4 Certificate in order to legally sell or serve alcohol in Arizona State! If you’re in the alcohol industry in Washington State (whether you’re an alcohol server, seller, manager, or liquor license holder), you may already be aware of the liability you can be held accountable for if you serve or sell alcohol to a minor or a customer who is apparently intoxicated. One of the best ways you can reduce the likelihood of having legal issues held against you is to implement “house policies” for your co-workers or your employees to follow. If you would like to receive a comprehensive training on Washington State Alcohol Selling and Serving laws, or if you are an alcohol server and need to receive a MAST Permit so you can work, we recommend checking out a WSLCB approved online MAST Permit Course!